A properly design commercial kitchen ventilation system plays a big role in keeping your kitchen safe. It’s a complicated environment, in need of the installment of the appropriate guards and an optimal ventilation system for proper air distribution and circulation. designed to vent grease-laden vapors from commercial cooking equipment such as deep fryers, stoves and grills. the purpose of the hood is to receive, capture, and hold the grease contaminated air until it can be exhausted. Grease filters are required to prevent large amounts of grease from collecting on the sides of the ductwork, fan blades, walls or rooftops. As David Tyler mentions in his comment, “a containment system that goes around the exhaust fan to collect the grease in between cleanings”. in NYC, building codes require that cooking fumes, smoke and other pollution must be vented above the roof line of the building of operations. Sometime this may not be possible because of landmark regulation, air space conflict or even high cost due to the height of the building. An alternative to venting above the roof line is installing a clean air precipitator. separating fryer from grills, assists in avoiding grill fires. outside air coming into the kitchen via the MAU will assist in moving the fumes out the exhaust hood. first line of defense against fire in a commercial kitchen, installed in the exhaust hood. regular cleanings and operation check ups of the exhaust fan, make-up air unit, ducts, exhaust hood, etc. 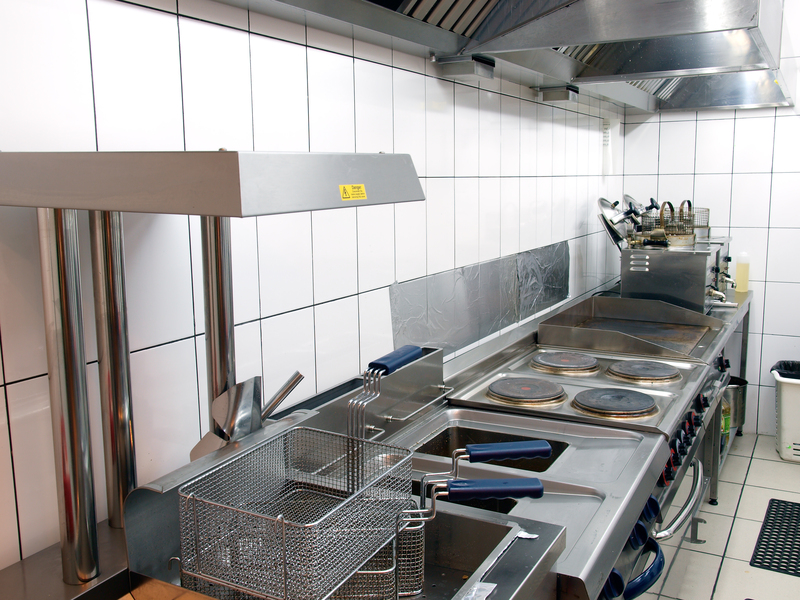 A commercial kitchen ventilation system‘s main purpose is to safely capture and remove grease, smoke, vapor, fumes, and even objectionable odors. This assists in preventing problems affecting the health, safety, and comfort of employees and customers. A safe kitchen is a productive kitchen.